The design concept has been to create a modern house of the 21st Century but one that respects both its woodland and residential curtilage. The design has evolved to avoid a pastiche solution. The house sits on a sloping site and has southerly and westerly aspect with distant views from the west. The topography can afford the concept of inverted living. The first floor forms the entertainment accommodation with external terrace and family room. Whilst the lower ground floor accommodates private bedrooms, bathrooms and boiler room. The design uses timber frame construction, clad in acrylic white render walls. 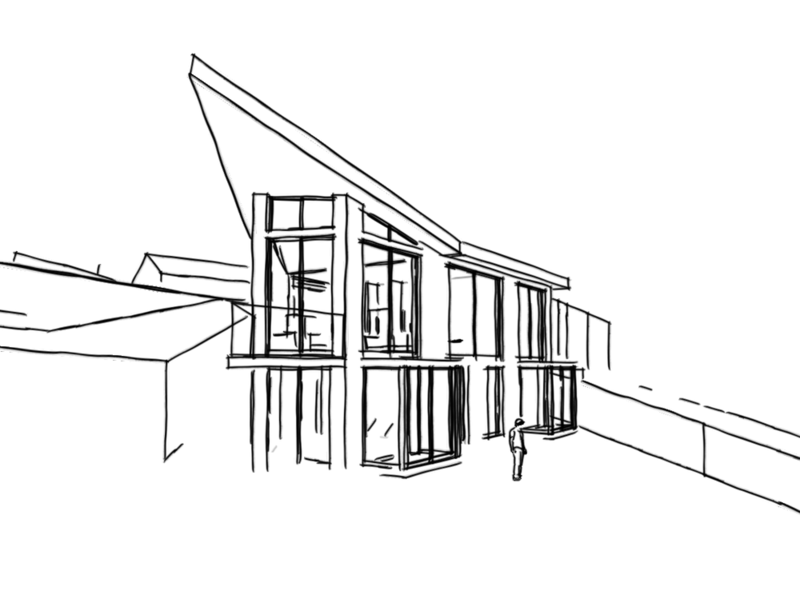 The roof is a nature sedum roof form and has mono-pitched planes intersecting which allows room for clerestory windows. All windows and external doors are triple glazed high performance timber. All insulation levels are to Passivhaus standards.